I couldn’t make just one. Making two was sew much more fun! Almost identical…one warm, one cool. 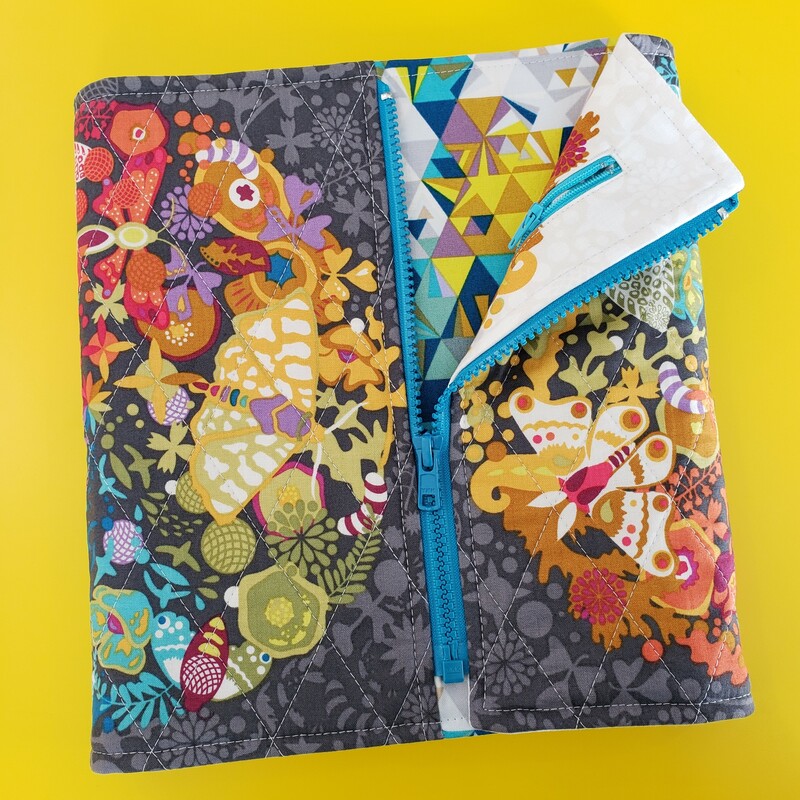 I dug into my stash of Alison Glass fabric to create these quilted jackets using my Sketchbook Jacket pattern. 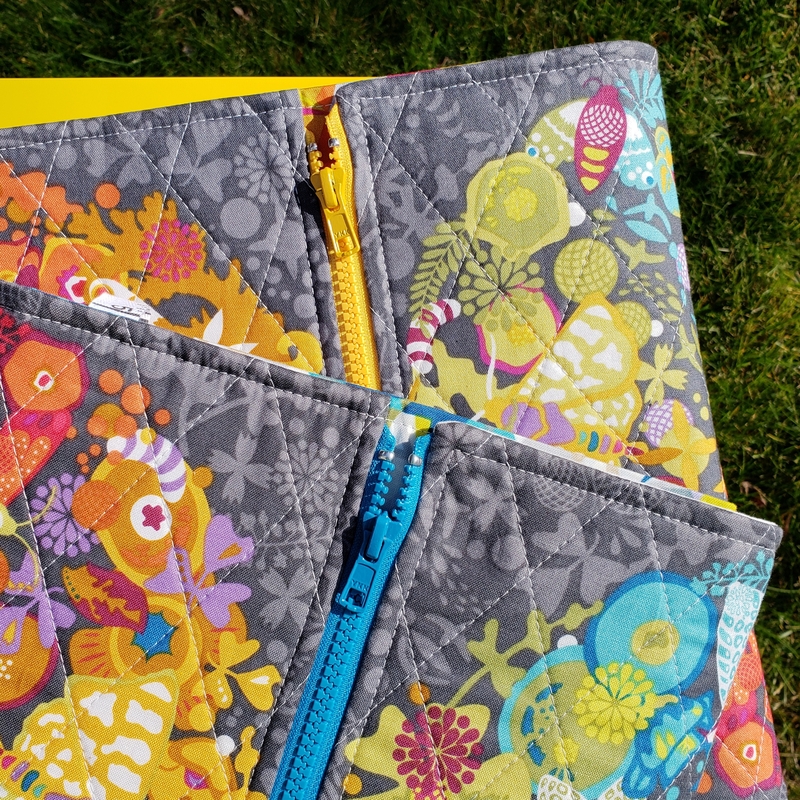 The quilted jackets are custom made for and wrapped around a 2019 Quilter’s Planner. Which is your favorite?I have been cooking these jackets up just for you! YES! I want to give these jackets…with a 2019 Quilter’s Planner in each…to YOU! This giveaway is two parts> one part blog and one part Instagram. Random draw will be Tuesday 23 October 2018 at 7:30 pm PDT. Comment here with your email address and/or on the Instagram post. Tag friends on the Instagram post. Share this blog post on Facebook, Pinterest, or Email using the links at the end of the post. 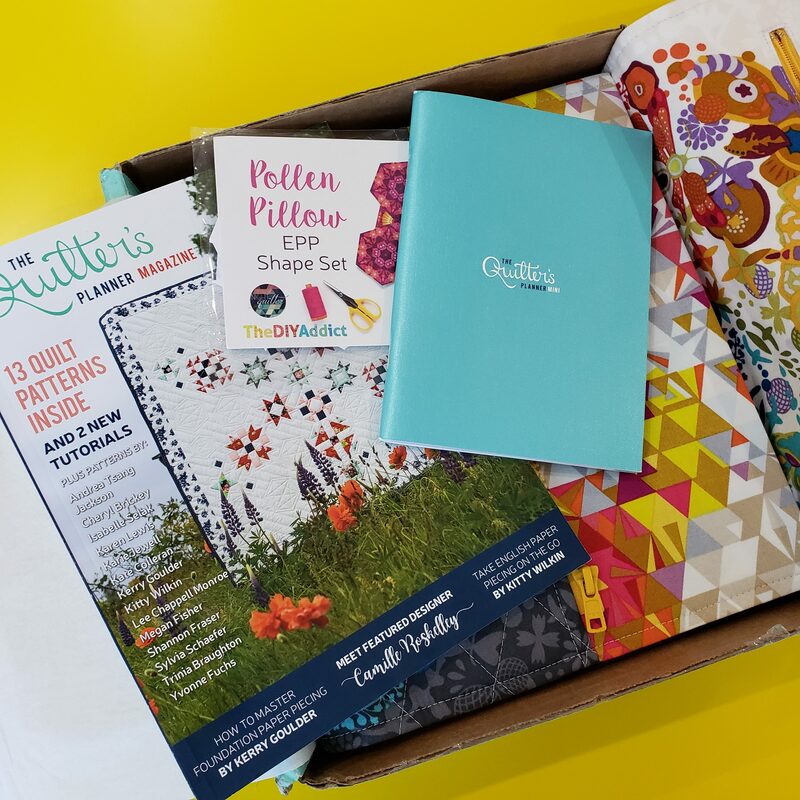 Share the love by following The Quilter’s Planner on Instagram and visiting the Quilter’s Planner blog here! There is a great troop there creating the beautiful planner to make 2019 the best year ever! *this giveaway is in no way endorsed, administered, sponsored by, or associated with Instagram. A random comment has been drawn. The email requesting shipping address has been sent. Check your email. If there is no response by 25 October 8am PDT another comment will be randomly drawn. Congratulations to Cathy C. Your package is on the way…and I hope it makes your 2019 amazing!! This is by far the prettiest planner cover I’ve seen! Phenomenal job! Thank you for the opportunity, Trinia! Your planner jacket is gorgeous. My dearest, your tree on IG made me a tad jealous of seasonal changes, but winning a QP and your spectacular case would make up for it! Your work is always beautiful! Aloha from Hawaii! What an awesome opportunity! Your work is beautiful! 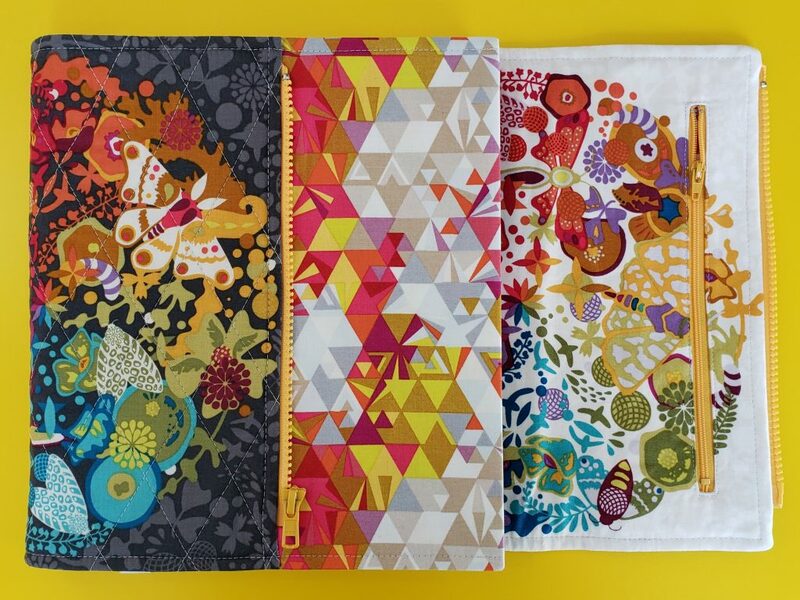 Semi new quilter here and I think a planner would be awesome! Beautiful jackets, thanks for sharing!! Wow so so generous! Thank you! What a great giveaway! Thank you for sharing! Really!!!??? Who could choose between the two…. they are both stunning. I’ve not had a planner and have been covering one for a while! Really ….!!!??? Who could decide???? I love these! And your choice of fabric was spot on! I follow on Instagram and I’m now following blog. Shared this post on Pinterest and on Instagram. All the ’s for the awesome planner & gorgeous planner!!!! Replying to my message above. That was supposed to say ALL THE HEART EYES!! Lol! Thanks for the opportunity! Those covers are gorgeous! I’ve always wanted to get the planner but never follow through. 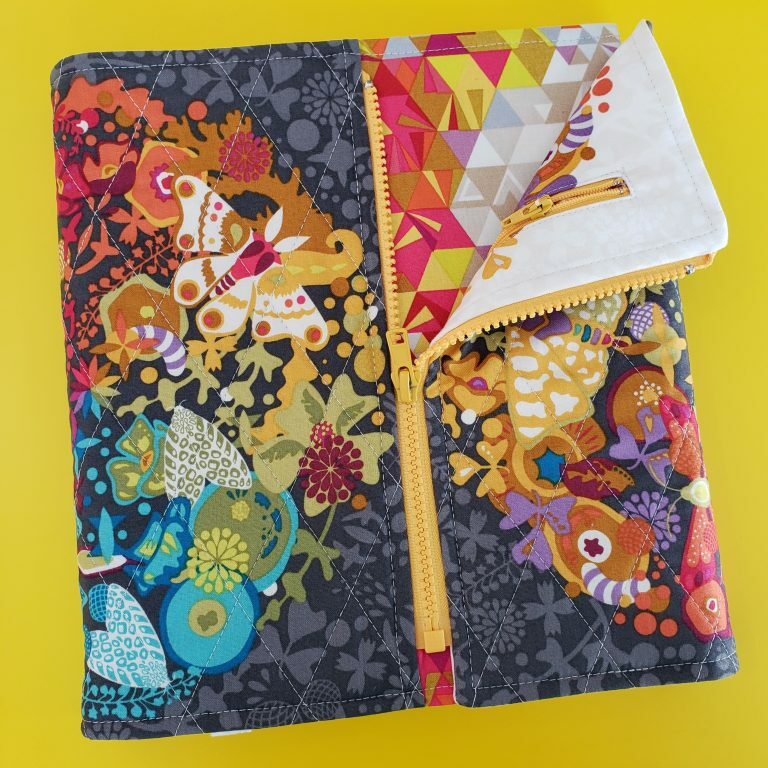 Absolutely gorgeous planner jackets. 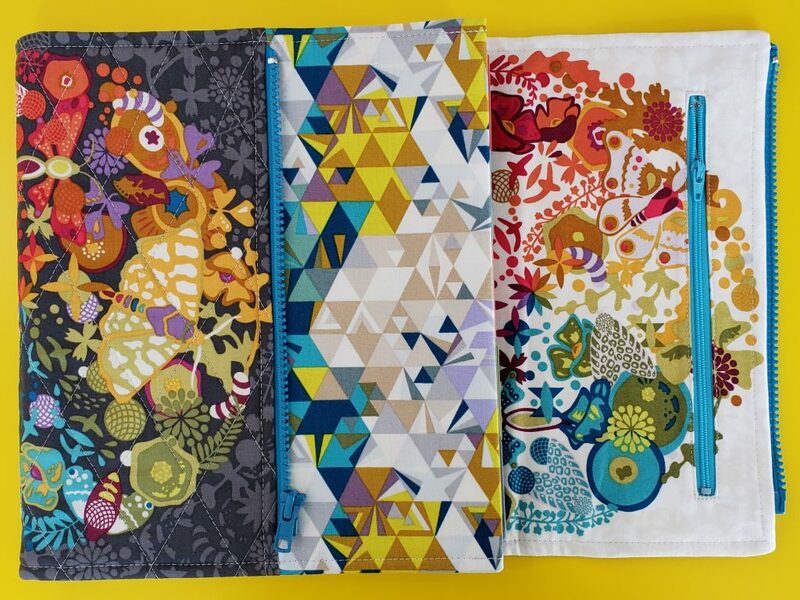 I haven’t used a planner yet and would love one in its own gorgeous jacket made by you. These are gorgeous!!! Thank you!! I would be sew excited if I was to win! I have never used a planner in my life and I really believe it will pull all of my crazy unorganized life some great organization! I shared on FB, Pinterest and will share on IG! Such gorgeous work! I’d be delighted with either! My email is comlisajohnson@gmail.com I shared on Facebook under Lisa Johnson and I’ll follow on bloglovin! 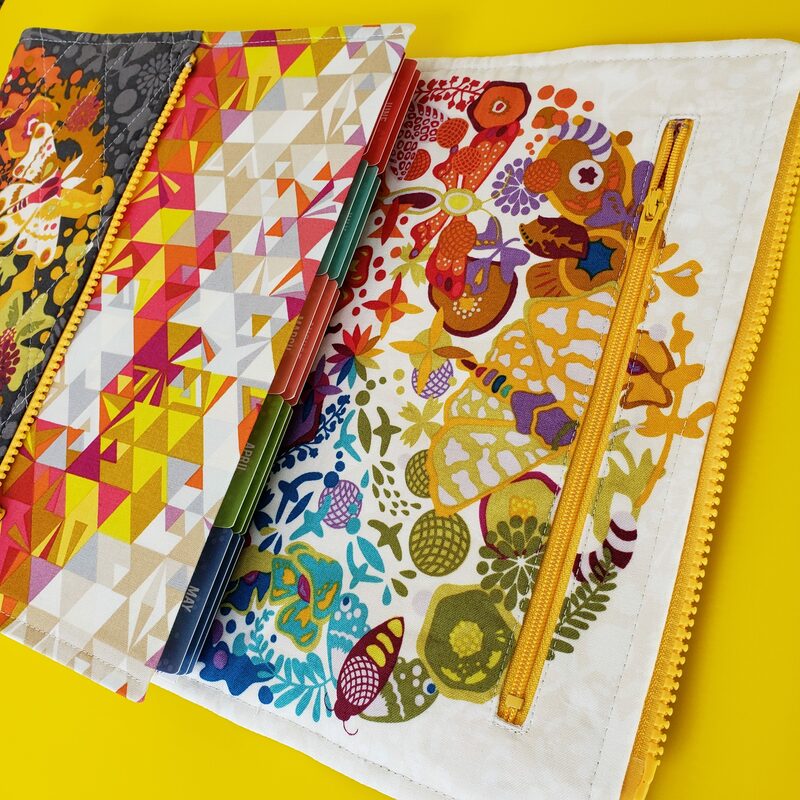 Does your pattern fit the planner or did you have to size it? 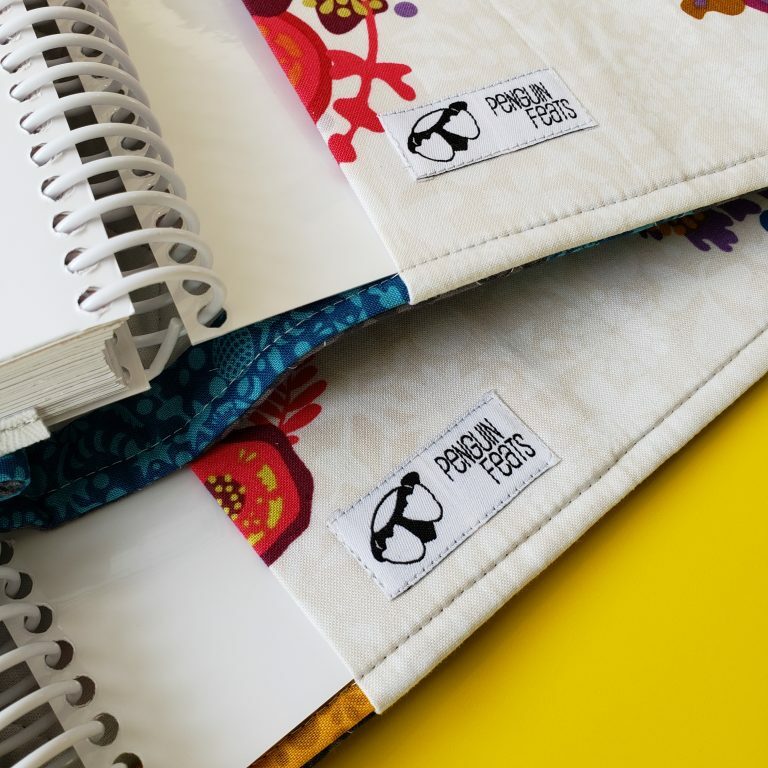 The pattern is completely customizable…directions for fitting it to any rigid bound book/planner/notebook are included. I love this cover!!! I’m an Allison Glass fan!!! Congrats Cathy! Your comment was randomly selected this morning in the second draw. Please check your email! 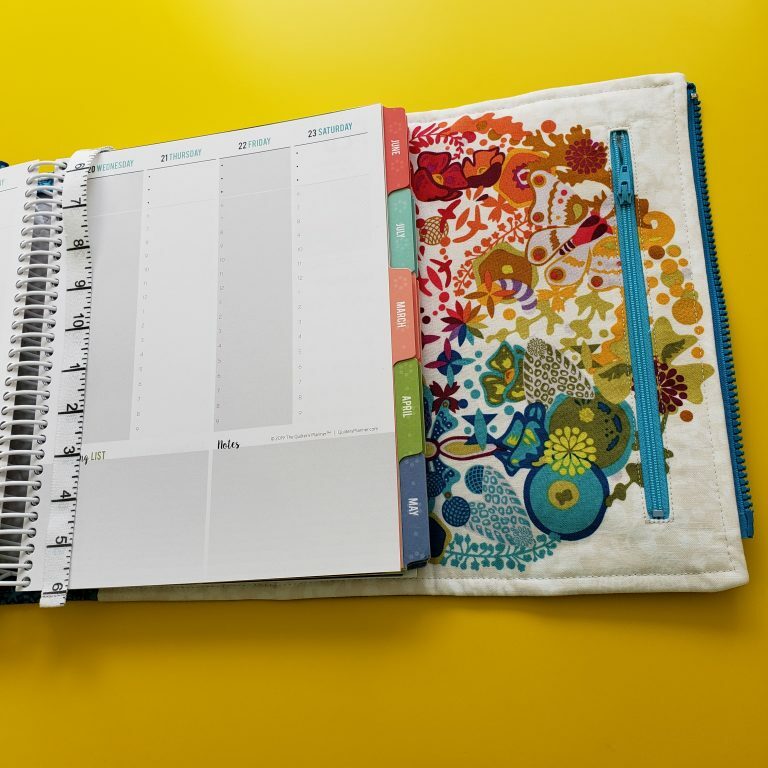 How wonderful to win this amazing planner cover and planner! Can’t wait to see it in person, thanks a million! As I said on IG – soooo gorgeous!! Thank you for such a lovely giveaway! I entered on IG so I guess I had better enter here, too! 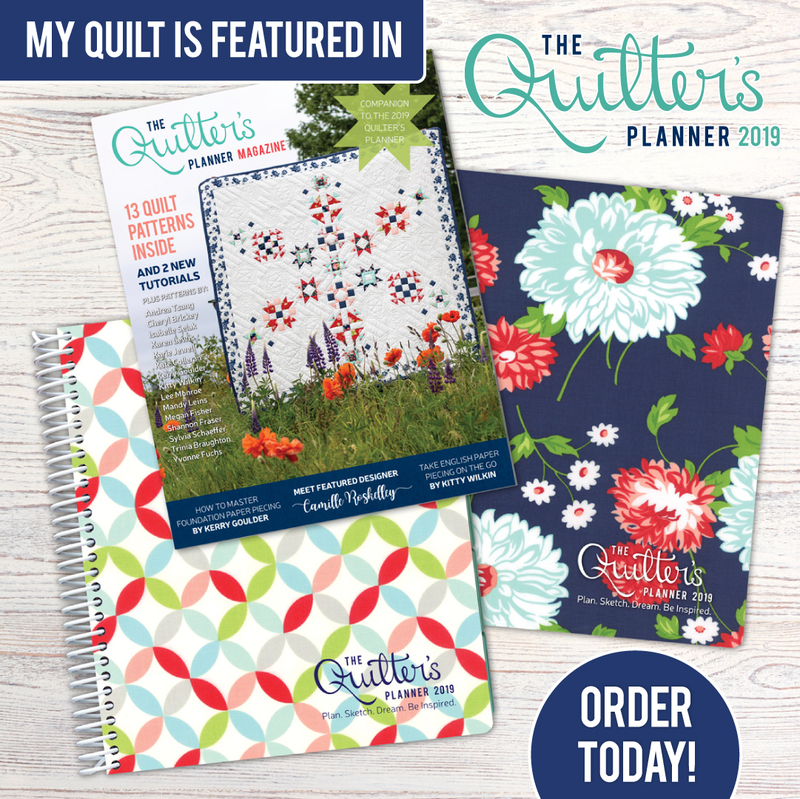 I have my 2019 Quilyer’s Planner, but would love to win one for a friend!! And, LOVE the covers you made! Thanks for this amazing chance! They are both very pretty, I do love some AG! But best of all, winning one would eliminate this project from my To-Do List so I could move on with something else! !